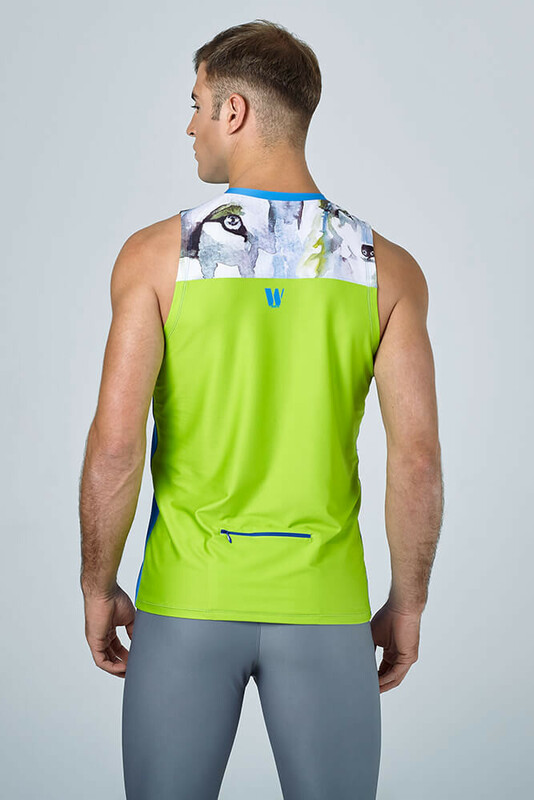 Men’s T-shirt designed for indoor and outdoor sports made of extremely light lycra to facilitate perspiration. The fabric absorbs skin moisture and expels it facilitating evaporation. A simple pattern combined with an exclusive and elegant aesthetic design. 10-cm pocket with YKK zipper on the lower back of the T-shirt.